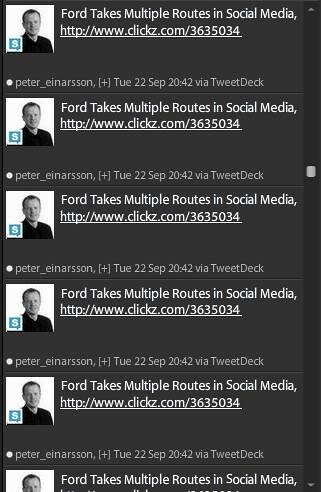 Is TweetDeck the first victim of Twitpocalypse Redux? An incident labelled the Twitpocalypse (see TechCrunch for explanation) occurred this summer, when the unique identifier for a tweet on Twitter hit the number 2,147,483,647. It caused problems for several Twitter applications, among them Twitterrific, TweetDeck and Destroy Twitter. A similar incident occured today when the second Twitpocalypse, or Twitpocalypse Redux happend at 18.34 GMT. That’s the time when the unique identifier reached the number 4,294,967,295. 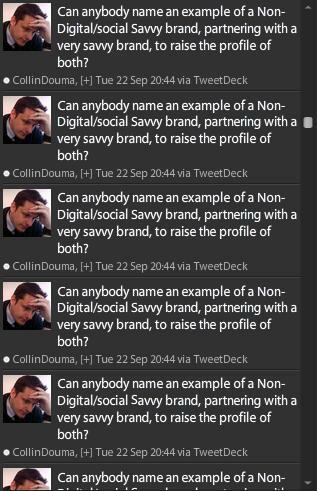 At first, everything seemed ok, but when I looked at TweetDeck I noticed something strange. 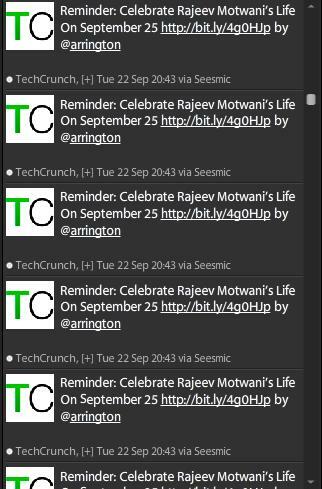 At 19.45 GMT and as far back as I could go in my list of friends (only a few minutes), TweetDeck seemed to repeat all tweets 11 times. See screen shots below. Could it possibly be an effect of the Twitpocalypse Redux? I have not the latest version of TweetDeck installed (it won’t install the latest version). My version is 0.25.1b. Footnote: Twhirl 0.9.2 seems ok. Tags: twitpocalypse, tweetdeck, tweetdeck, twitpocalypse, twitter. Ping.